About once a month, all through the fall and winter, you asked if it was warm enough to turn our sprinkler on. It wasn’t. Then one day last week, it was. Barely. The water from the sprinkler was terribly cold, but you insisted on stripping down anyway. 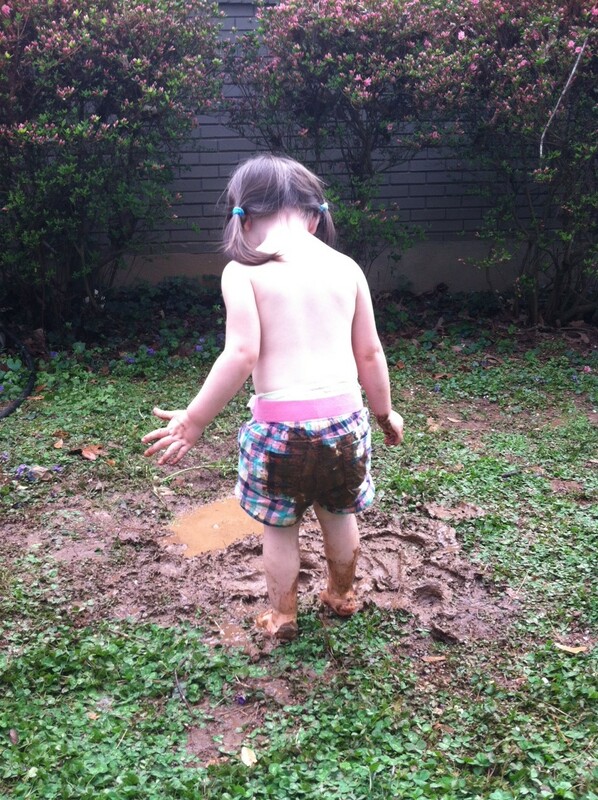 Every 5 minutes, I’d turn the sprinklers off so you could splash in the mud puddle it had created. You loved that almost as much. 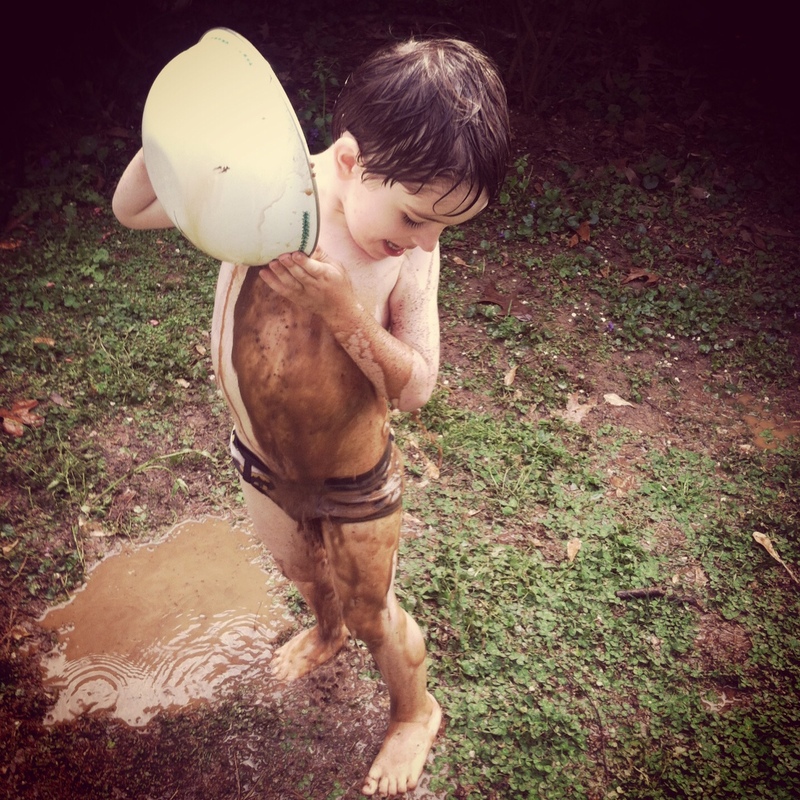 But it still wasn’t quite enough to simply splash in the puddle, you really wanted a bowl so you could scoop up the mud and pour it all over yourself. And then — it was perfection. I dare say: Everything you dreamed it would be. You were really muddy, by the way. And it was awesome. P.S. The little girl below slipped and fell in it. It was the squishiest fall I’d ever heard. LOVE.